Deaf Republic tells the terrifying parable of a country taken over by a brutal military regime and, more specifically, the resistance and suffering of one couple and village. 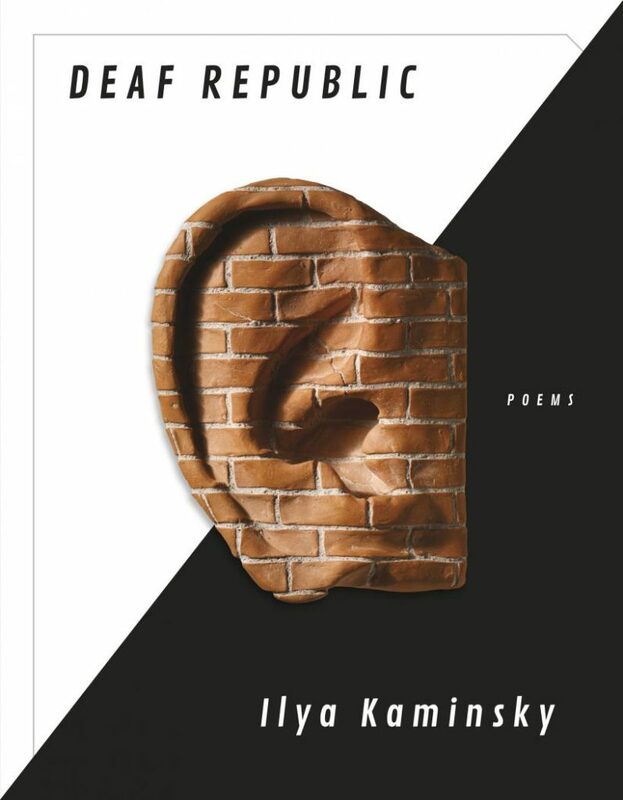 To isolate only one small image out of Kaminsky’s long-awaited Deaf Republic feels like a horrific distortion. But the images of silence threaded through the collection are crucial to the work’s purpose. In the nursery, quiet hisses like a match dropped in water. In the ears of the town, snow falls. Silence like a dog sniffs the windowpanes between us. What is silence? Something of the sky in us. Kaminsky’s imagery paints silence as a large, enlarging, isolating, complex, and dangerous force. We are sitting in the audience, still. Silence, like the bullet that’s missed us, spins— In Deaf Republic silence becomes a projectile, a weapon. It can kill, maim, threaten, rob, subdue, conquer. The silence Kaminsky describes is not neutral, but fearful. It is an energy moving, volatile, a form of power. Even though it may seem as if we have been saved from injury, the poem suggests that the destruction that silence will cause—that has missed us only by chance—persists. There is always collateral damage. Deaf Republic warns that questioning social and political silence and examining our own culpability are urgent necessities. As Kaminsky writes in the collection’s notes,“The Deaf don’t believe in silence. 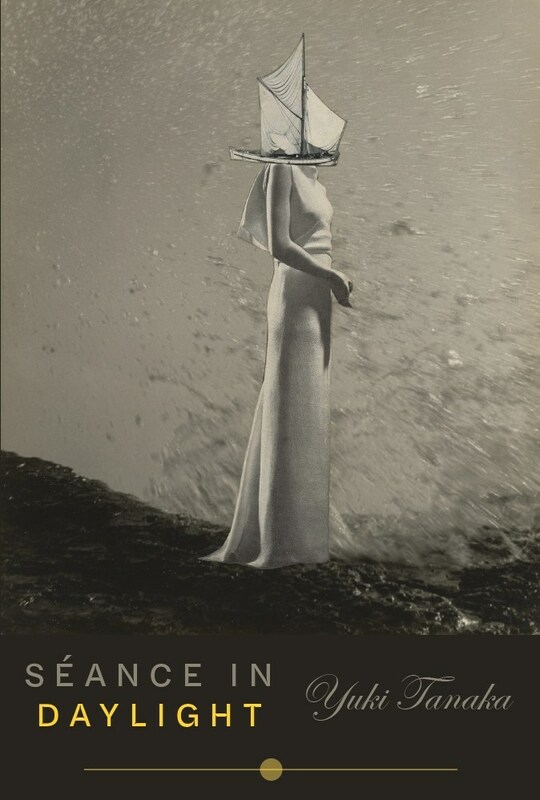 Silence is the invention of the hearing.” Deaf Republicchallenges readers to reconsider silence, to feel stirred and troubled by the silences around and within us, which is also the work that the best images do. This entry was posted in A Space for Image on April 3, 2019 by admin. fist-sized for 20, two fists for 50. 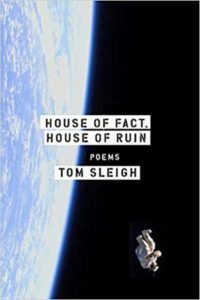 In his sonnet, “A Drone in the Promised Land,” Sleigh recounts a memory of the Golan Heights, where he entered the ruins of a church damaged by war and artillery and touched the shell-pocked walls. Sleigh connects this moment to the biblical story of the “doubting Thomas” who must place his fingers in Christ’s wounds before he can believe. Do the walls of the ruined church imply the body of a resurrected Christ and thus the speaker’s faith? Or since this is a ruined church, not rebuilt (resurrected), does the poem question faith or the ability of religion to stem violence and human destruction? Thomas believed that he beheld Christ only when he could touch the wounds. The speaker’s recognition of war and its damage comes through physical touch. Yet what is more frightening, the damage left by war—whether to physical structures, faith, community, human lives—or the fact that the speaker so easily recognizes the ordnance and weapons? The speaker knows the war, has seen it, encountered it firsthand with his senses. There’s no doubt at all. Touching the wall confirms what the speaker knows. “A Drone in the Promised Land” draws on the archaic meanings of doubt as “fear or to be afraid.” Touching the wall enacts the fear. The ruins give shape to fear. No one can doubt war’s destruction, the ruins it will leave, the ways that war tests what nations will and will not do to other nations. This entry was posted in A Space for Image on March 5, 2019 by admin. Whatever is singing above, come down. both thriving on the shore. even a scrap of bread makes you bleed. Surreal? An image collage? The intersections of thought and imagination? A love letter? “Evidence of Nocturne” moves from image to image and trembles with feeling and resonance. 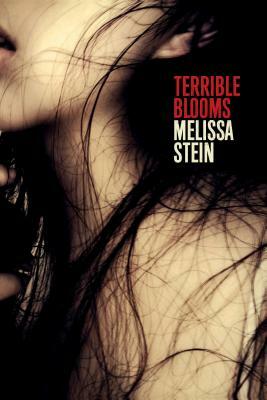 The poem’s careful silences give readers time to contemplate, imagine, and willingly reread. But which of Tanaka’s images to dwell on, when so many are lovely? Drink a lake from my eyes, fever and azaleas / both thriving on the shore. The poem smoothly reimagines the speaker as a physical, geographical space, but at the same time suggests the hallucinatory. A lake meaning tears? Hidden depths? A reservoir? Fever meaning illness or more passion? And by azaleas, does the speaker want to suggest only their loveliness or the encyclopedic symbolism assigned to them? And what of the juxtaposition of fever and azaleas? Only fourteen words, and yet the image expands. Every detail evokes alternative possibilities. But Tanaka’s words also evoke tenderness: Drink a lake from my eyes. His poem calls to an unseen entity, invites connection, and then reveals the larger spaces inside the body’s container. Drink a lake from my eyes. The words direct, but they also suggest that human thirst that cannot be slaked by the kitchen faucet or the local coffeeshop. Yuki Tanaka, “Evidence of Nocturne,” from Kenyon Review 40 (Sept/Oct) 2018: 5. This entry was posted in A Space for Image on February 1, 2019 by admin. 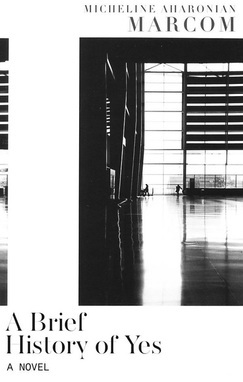 Movement between images is what I find most fascinating in poems. In this respect, film and poetry are kindred mediums. Logic in both spaces, whether it be conventional narrative logic or something internal and unique, is built through sequence. Montage in film is often described as “poetic,” and this is no mistake: films and poems go places. And they do so through close attention to and manipulation of continuity in image. What’s more, the “frame” in film presents a useful correlative in the image framework of a poem; what appears, how it appears, and the influences exerted on that appearance share a cinematic language. A film I constantly return to for its “poetry” is Steven Soderbergh’s The Limey [see video excerpt]. The Limey describes the trajectory of its protagonist through temporally disjointed, fractured vignettes. It utilizes omniscient narration in a voice-over track, a technique typically employed to cohere a visually disparate narrative. But coherence isn’t really the point with either the editing or the narration: the continuity of The Limey is offered as felt or understood rather than explained. Where it occurs, the voice-over track is repeated dialogue from elsewhere in the narrative. Or it is recurrent ambient sound (humming, wind chimes, a running shower, the drone of an airplane, all of which occur as diegetic elements before they occur in the temporal sequence of the narrative; flashbacks and flashforwards function in the same way). As articulated by film theorist Guan-Soon Khoo, “the non-continuity montage is not so much a summary of diegetic events as it is an utterance via editing and use of sound by the omniscient narrator.” (Diegetic sound: sound in film that is coming from something within the frame.) This overlay—what’s in frame carrying the scent or sense of something out of frame—broadens the possibility of the poem for me. It instructs me. For some poem examples of what I perceive to be the play of diegetic and non-diegetic elements, check out “Nothing Stays Put” by Amy Clampitt, or “Elegy Ending in the Sound of a Skipping Rope” by Larry Levis. 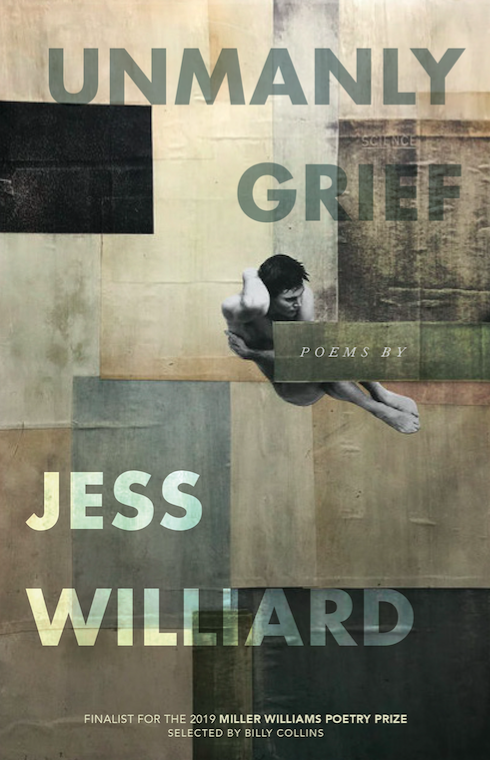 Jess Williard’s debut book of poetry, Unmanly Grief, was selected by Billy Collins for the Miller Williams Poetry Series from the University of Arkansas Press. This entry was posted in A Space for Image on January 1, 2019 by admin. Its warm lies and death. Its liquor stores and detritus. Whiskey, death, or the book. The music is a feral, silver milk. It is my filthy home. 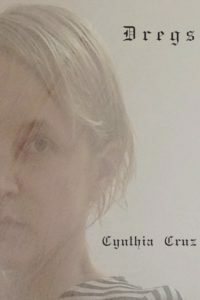 Cruz’s “The Last Film in the World” will trigger diverse conversations and interpretations for different readers. 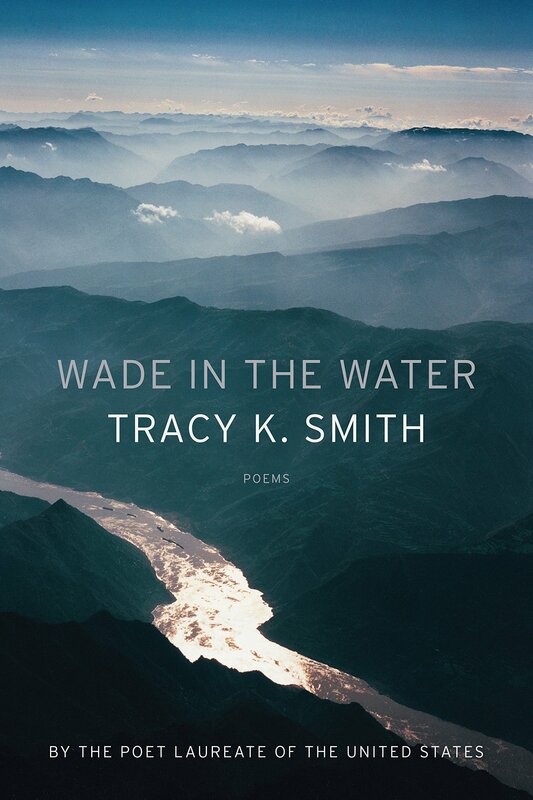 The title suggests that the poem wants the reader to see the poem’s topic as the panorama of a film, although the “black panorama / Of poverty” may discomfort some readers. But the interpretation that feels more resonant allows me to see poverty as an interior, private impoverishment, and as the human deficiencies of any life. The “fevering ghost / Of compulsion” that the speaker describes is “Whiskey, death, or the book,” but these words may also form the axis of a written work: life, death, our vast literary tradition. And when I read “The music is a feral, silver milk” the poem seems an ars poetica allowing the reader to interpret music as poetry. The “filthy home” then describes the clutter, soil, corruptions of a poet’s poetry and language. All poets enter through the “broken” gates of their own writing or word-shaped perceptions. Yes—broken—that too makes sense to me. Our words are always broken and inadequate, or perhaps we ultimately want our words and language to be broken (to make poor gates, boundaries, or separations) because we do not want to keep out lived experience, our relationship with the world, not if we truly want to write poetry. And yet the poem says “I walk to the broken gates / And enter—” The speaker enters, but the poem is ambiguous: enter through broken gates into the filthy home, or exiting the gates into the material world? Does the speaker seek the security implied by home? Or do they enter through the broken gates into a material world? Does it matter? Couldn’t a poem serve both purposes? Might even a broken interpretation prove useful? This entry was posted in A Space for Image on December 4, 2018 by admin. grow plants that no longer have names. on the bank as well. A child’s shoes. dirty soles? The arms that held her? such sweetness a man can’t think. 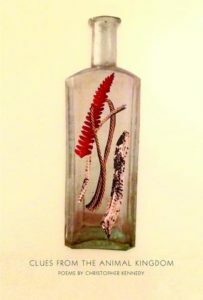 “Lily of the Valley” disrupts romanticized views of nature. Linnaean classifications cannot describe the plants in the landscape that this poem imagines. The nameless plants lie beyond reach of human order or control. Readers immediately know that something horrible has happened: bodies shift with whatever current they encounter, unnamed plants prevent escape, the suggested tenderness is only feigned, and fever means not illness but more agitation. Something terrible has happened to a child. Can you see her, dirty dress, / dirty soles? The arms that held her? After asking the reader to imagine the child, the poem merges the image of the child with the image of a lily of the valley. The poem also merges the reader’s mind with a mind that wants to stop those pealingmouths, pealing which might mean the bell-like flowers of a lily of the valley or the peal of a child’s voice: her shriek, shouts, or screams. A mind that also cannot tolerate a child’s white dress. The innocence of childhood torments the man who cannot control his fever. He’s overwhelmed by the images that reach him through his own senses: the sight of a child’s dress, the shaped petals of a lily of the valley, or maybe merely by an odor of sweetness—goodness, purity—that makes it impossible for him to think, and therefore makes him capable—perhaps—of doing anything. This entry was posted in A Space for Image on November 4, 2018 by admin. And yes is the hillside grove; the invisible songbird inside of it. Yes the three-legged dogs in the white clay city. The blue pushing the sky out like a girl pushes from behind her mother’s skirts and her hands to see what she has hidden from only moments ago. His feet, bony, ugly and black, and her toenails painted with lacquer a red or brown. Water. The water in the glass. The clear glass, the clear water. Water and the glass the same color which is clear and the word clearwhich doesn’t say the yes of the color or the isness of all of life in the color or nothing in the glass holding water oxygen light refracted on the glass which is the image on glass of the window, the blue peeking sky, fingerprints, greasy and earthy, so that the glass doesn’t fly off into ethereal metaph ors and the girl herself, Maria, in the glass: thin stretched-down face, dark eyes, the right darker than the left, the right hand lifted in prayer, in benediction, and the mouth smiling now, open, saying, singing herself. This month’s image, or rather images, come not from a poem but from Marcom’s lyrical novel, A Brief History of Yes. In this paragraph, Marcom’s images flow one into another, expanding as water does to fill the spaces of the narrative. The prose twists round to connect the songbird in the grove and Maria singing herself, implying that the same affirmation—yes—lies in her song and in the bird’s song. The girl pushing behind her mother’s skirt, the girl that is the sky’s blue, might also be the child that Maria was once, and as a result also memory. The prose moves, shifts from a water glass, to a window, to a reflection, from a grove hiding an invisible singer, to a window pane reflecting a girl’s presence. Images inside images. Seen through the glass-like clarity of other images. Refracted by a juxtaposition of images into other perceptions. But images that must also be messy, dirty, and grounded, before they can reveal or portray. Micheline Aharonian Marcom, A Brief History of Yes, Dalkey Archive Press, 2013. This entry was posted in A Space for Image on October 3, 2018 by admin. right where they were all along. In this lovely extended metaphor, the poet never reveals the metaphor’s tenor. What is the sailboat? An emotion? An inner capacity to hold and move elsewhere? The imagination? Memory? Longing? And yet if there is a sailboat, there is also a body of water, and by implication a changeful energy inside the speaker. The speaker doesn’t know the sailboat’s occupants—maybe there’s an old man, a child. The boat holds both old age and childhood, both longing and longing to leave, to journey outward. But it’s the tender wave that pleases: the wave that won’t move the child into adulthood or the old man toward death. The two imagined personas will remain together and where they were all along—in an imagined space filled with uncertainty and doubt, desire and desire denied, youth and age, but also tenderness and resistance. The speaker thwarts the desires of these imagined lives. The speaker can leave them as they are. They won’t be injured or lost. They are safe from storms, suggesting why we need stories and the consolations of imagination. This entry was posted in A Space for Image on September 2, 2018 by admin. How did I feel when I heard you were gone? How does the loss or death of a loved one feel? Kennedy answers the question with an imaginative drama. The poem opens with a hunter’s moon, the full moon that typically appears in October and, according to lore, that hunters used to kill fatted deer for winter. It’s also called a blood moon. After this foreboding beginning, the poem asks readers to imagine the terror of a barn fire and the poor horses perishing inside: pain, terror, agony. The poem escalates from sight, to sound, to touch: moonlight branded / on their blistering flanks.The poetic icon of romantic beauty brands, injures even more, the burned bodies of the horses. How did it feel when I heard you were gone? As if, the poem suggests, my dying body had been cruelly marked for property by a romantic notion of love, beauty, and mercurial emotion. Or then again, like a suffering animal, dependent on the failed care of its owner. Kennedy mocks the ideal of romantic love. The loved one has caused the suffering, so what does he leave us to think? How did it feel when I heard you were gone? Does the poem answer? “Postulate,” from Christopher Kennedy, Clues from the Animal Kingdom, BOA Editions, 2018. Book trailer for Clues from the Animal Kingdom. This entry was posted in A Space for Image on August 1, 2018 by admin. A dog has tracked across the floor. This short poem immediately intrigues—an everlasting self? Eternal? Inescapable? A self that participates in its own messy engagement with the natural world and with living, unable to hide away in dry domestic security. But it is the image—which compares love to the raindrops and storm flung from a dog’s fur, from the mess left by a dog simply responding as a dog, despite human ownership—that delights. The poem reveals a “love / From a lifetime ago,” love presumably connected to the speaker’s older self. Ah, the everlasting self, the self that is . . . shed . . . forgotten. But the poem implies that love shares the self’s condition. Love is also ongoing, reabsorbed, and like the self it is “collaborative”: not without agency, not passive. Love, self, and by implication the past (“a lifetime ago”) are all bound together, leaving messes. What can we do but clean them up? This entry was posted in A Space for Image on June 1, 2018 by admin.